You threw the bums a dime in your prime, didn’t yoooooooooooooooooooooooooou? Not one “me” in that song by the way; it’s all about “you” or her. 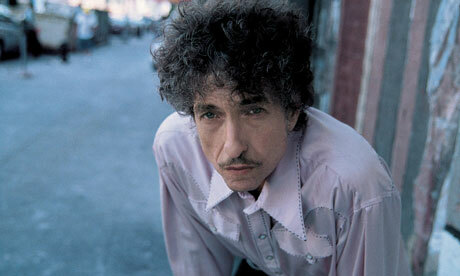 But there’s lots of rhyming “me‘s” at the end of lines in Dylan songs. Not quite like being at the end of one’s rope, though there’s a lot of Dylan songs about what that’s like, too. At the end the line mostly is where the “me” in Dylan will be studied in this post. I’m sure we’ll find Dylan there but many of ourselves in a lot of those “me’s” as well. It’s a spillover rhyme though so the lack of rhyming at the of each verse with “me” is consistent. “me sandwiches” “be”–the speaker’s being the lover he speaks of the center of his “me“-ness. Life is hard, maybe even possible without her. Advice? Yes, if you ever go to Houston, but in Youston expect to find me. The me in the song is questioning himself, lost, directionless but for the dreams of a you whose value is everything to him–all he has and all he knows. It’s one of Bob’s pining for, yearning for songs. It’s the kind of song he doesn’t want to give up; at least one appears in just about every album. In them, the “you’s” mean so much to the “me‘s.” And we, the listener, can be either one. Here’s an audio of it live from Manitoba, Canada, 2012 (starts around 27:30). “oak tree” repeats in the last line and the “e” vowel keeps the assonance alive when “me” turns into “we.” The “know me“/”oak tree” is a mosaic rhyme, and the whole song is a mosaic or sorts, with shifting and lively images rolling as if down a track, episodic even, like scenes taken in from inside a train. If I cant work up to you, you’ll surely have to work down to me someday. The song is packed with terminal rhyming–every line ends in rhyme, while the separation of “you” and me” is just about guaranteed by the refrain’s continual threat that if I can’t get up to you, you have to get down to me. “you” and “me” are never going to get together in this song, but the rhyming is endlessly coupling. Listen for the rhymes; they please in this song, as they do, in all of Bob’s writing, but listen for those non sequiturs–they tell another story, maybe the real story. Here he is live, singing it Stockholm fall of 2013. His voice actually sounds pretty good. In the beginning of the song where the town is depicted as perfect, bravery in the face of death, the promise of reciprocal weeping, and fairy tales references, perfect rhyming makes sense. Later though, we sneak a peek at what’s under the covers of perfection and we see torn hems, the end being near, and hearts on platters. “Detroit made cars and cars made America,” he says in this superbowl commercial. Is that “Things Have Changed” I hear in the background?